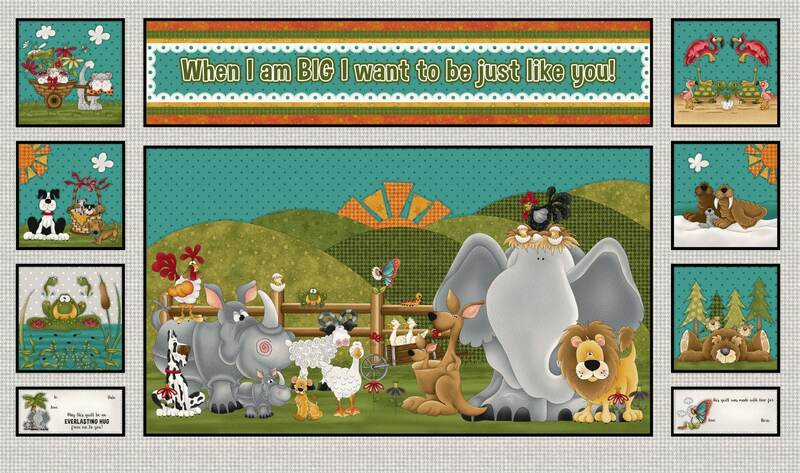 A beautiful addition to When I am Big children's fabric line by Leanne Anderson. Funny elephants, sheep, tigers, ducks, dogs, flamingos, turtles, frogs and all of the animals in a little person's imagination. Such beautiful shades of green, gold, orange, green, blue, red, gray and white. Pair this fun cotton panel with the cloth book and present a new mom with a great gift.